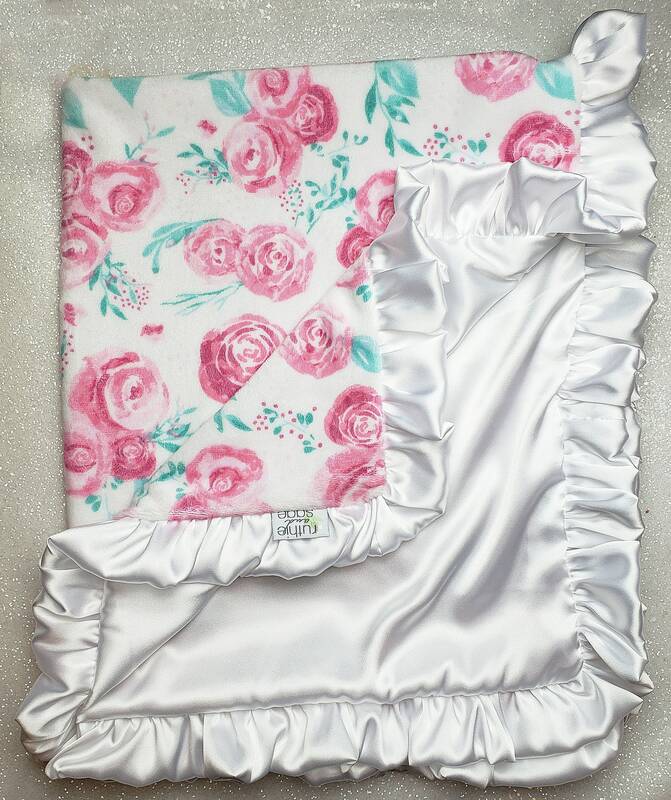 This blanket is READY TO SHIP and will ship next business day! It is extremely plush and elegant and made of the highest quality of luxe minky. Measures 30" x 36" and is the perfect baby blanket size. These are handcrafted by me in the USA in a smoke free home! 100% machine washable.